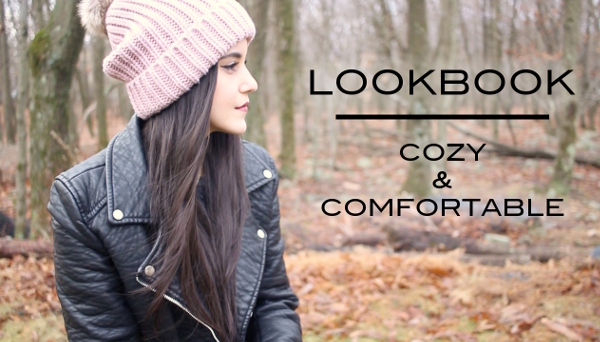 This is my first ever lookbook video and I am so excited about it! Styling is one of the things I really, really love and it's the whole reason I even started my blog. I've wanted to do style videos for a long time but it just never happened because I don't really have anyone to film them for me. I actually still don't but while I was away for Thanksgiving, I just decided to give it a try with my boyfriend behind the camera. He's the one who takes my pictures but he doesn't really know anything about photography or filming. I bascially set everything up, explain what he has to do, and then edit everything myself. Is it tiring? A bit. But if that's what I have to do to make it happen, then I'll do it. So, that's bascially what I did with this video too. I know it's not perfect but for my first lookbook, I'm pretty happy with it. I hope you guys also enjoy it. Let me know your thoughts in the comments!